Designing pistons for a seemingly endless combination of engines and modifications leads to a vast array of application-specific design features. 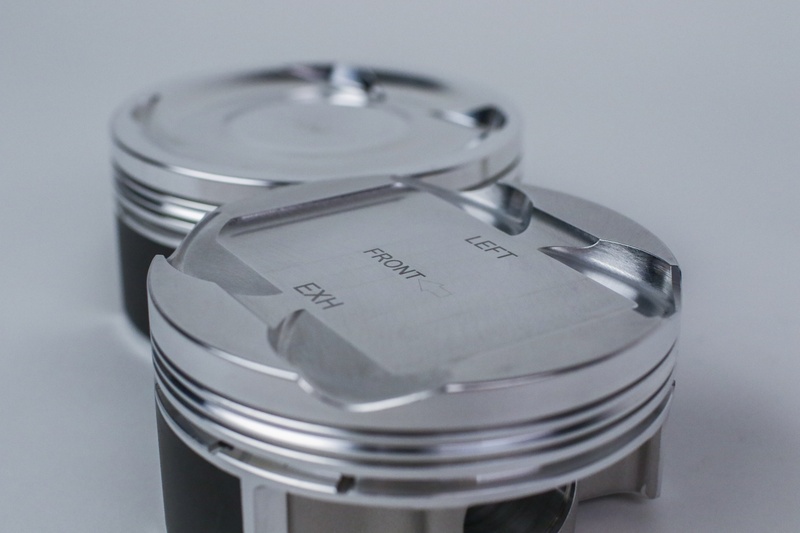 Both JE and their customers need to be able to keep track of what design characteristics a piston may have to ensure satisfactory operation and performance. JE keeps track of these characteristics via various markings on the pistons and rings, so we put together a reference guide for those markings you may find. You’ll find the JE logo laser-etched underneath the crown of every JE piston manufactured since 2004. In most cases, this logo is placed on the same side as the exhaust valve pockets. However, note that this is not always the case. 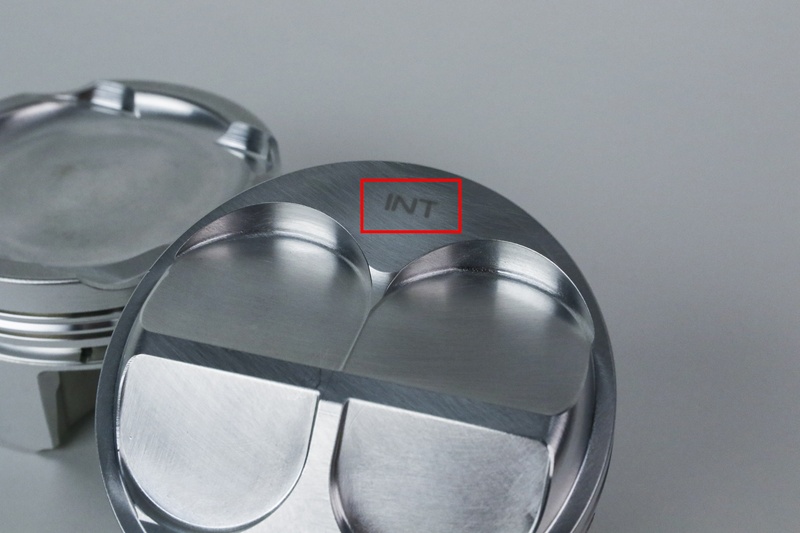 If there is an “INT” or “EXH” laser marking on the crown indicating which valve pockets are which, always follow these markings, and don’t assume the JE logo is on the exhaust side. Note: Parts with optional undercrown milling may have the logo removed. Depending on the year of manufacturing, JE pistons will have the JE logo either laser-marked or forged-in on the undercrown. The exception to this is the undercrown milling feature, which may remove these markings. Your pistons may have a laser marking on the crown spelling “INT” or “EXH.” INT stands for intake, and EXH stands for exhaust. These markings indicate which valve pockets correspond with either the intake or exhaust valves. For example, if INT is marked on one side of the piston, that indicates the piston should be installed so the valve pockets on that side of the piston are in-line with the intake valves. These markings are commonly used in opposing 4-valve designs, because there is no size difference in the valve reliefs to allow for easy delineation between intake and exhaust valve pockets. 'INT' and 'EXH' laser-markings indicate which valves should line up with valve pockets on that side of the piston. 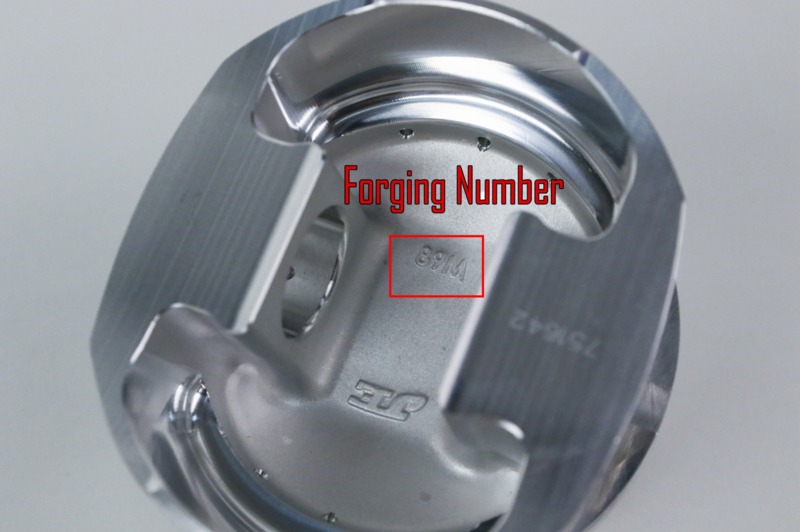 This number ONLY identifies the raw forging that was used to manufacture the piston. A large variety of bore sizes, compression heights and other design features can be applied to a single forging. A part number or job number is needed to get information or to be able to order pistons. Forging numbers cannot be used to provide information. 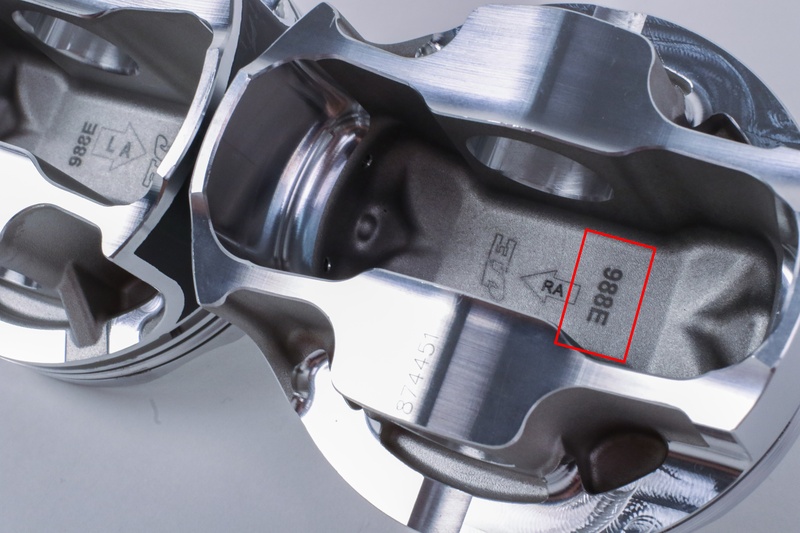 Depending on the year of production, JE pistons will feature the forging number either as part of the forging, or laser-marked on. On off-the-shelf catalog pistons, the part number is a 6-digit number identifying the specific application the piston is for. You can use this number to re-order pistons, or identify what the pistons you have are for. You will not find this number on custom pistons. Job numbers are found on both custom and shelf pistons. 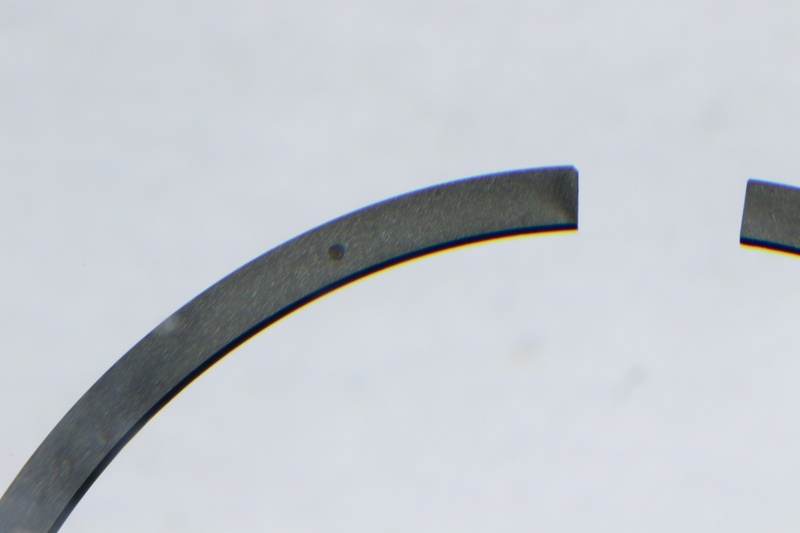 This is a 6 or 7-digit number, and can be used to assist in reordering, identify what the piston was designed for, and aid in locating replacement components, such as wrist pins, locks, and rings. 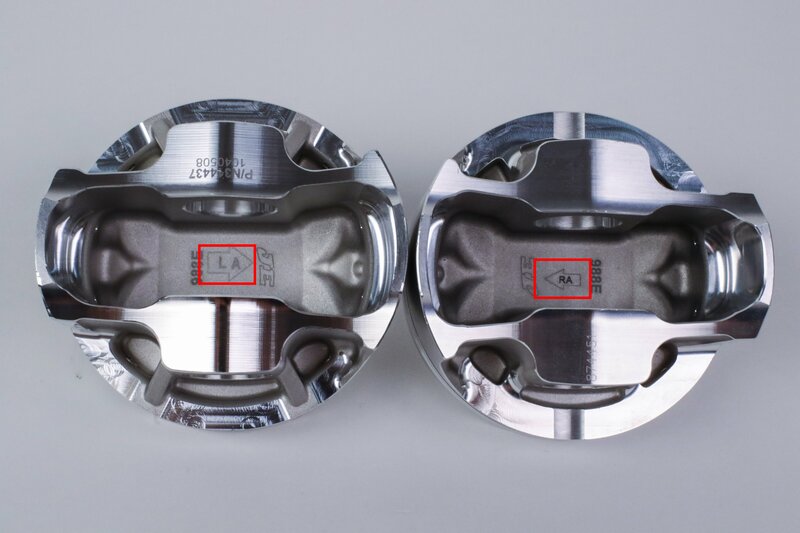 If your pistons were designed with offset pins, there will be a laser marking underneath the crown of the pistons indicating the direction of the offset. Offsets are typically set away from rotation. The marking is an arrow, with either “LT,” “RA,” “LA,” or “RT” marked inside it. Toward or away references toward or away from the intake valve pocket(s). Left and right refers to the engine bank the piston should be installed. In situations where the engine does not have a left and right bank, the “L” and the “R” can be disregarded. Offset pin indicators point in the direction of the pin offset. 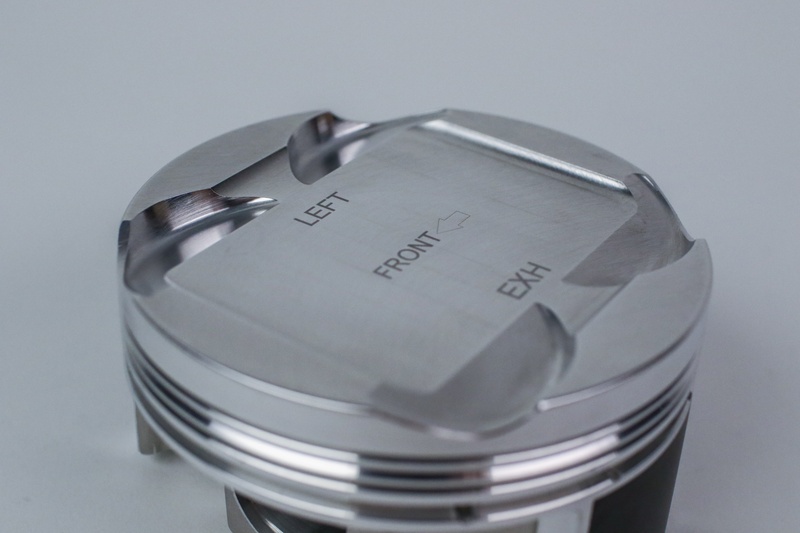 These markings are mainly for internal use during manufacturing purposes, as they are not purposed to indicate the direction the piston should be installed. 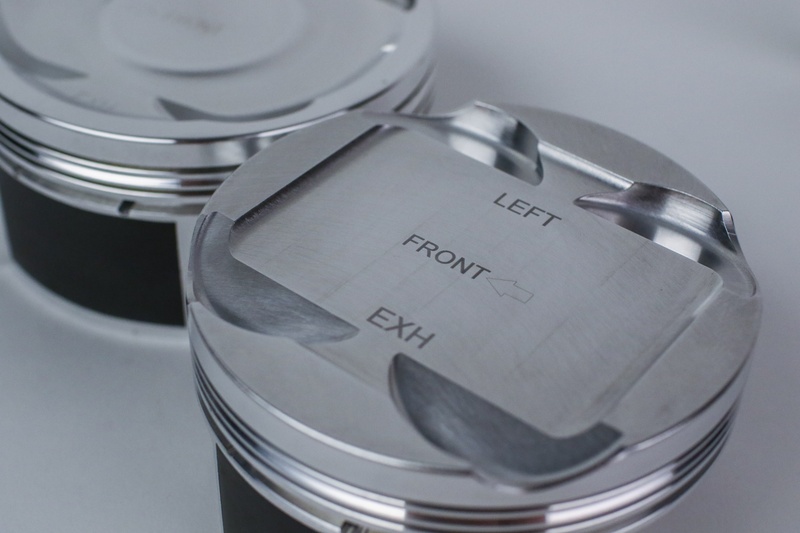 Some pistons may have a laser marking on the crown of the piston to indicate which direction the piston should be installed. 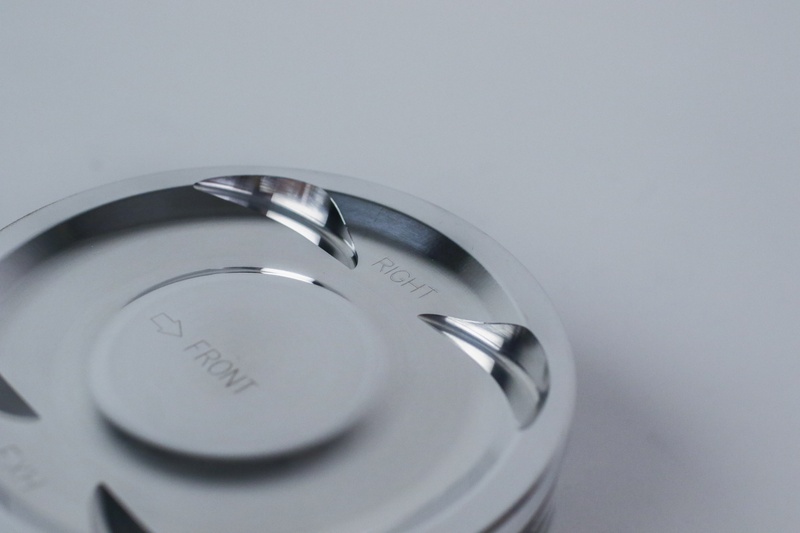 “FRONT” with an arrow shape, or just an arrow shape, means that the marking should be pointing to the front of the engine, when the piston is installed. 'Front' laser-markings should be pointing toward the front of the engine when installed. Some non-inline engine configurations have pistons have right and left specific pistons. Simply put, pistons marked with “RIGHT” go in the right bank, and pistons marked with “LEFT” go in the left bank. Left and right bank references are assumed to be from the driver’s persepective, NOT facing the front of the car. For transverse mounted engines, left bank refers to the left side when standing on the flywheel side, looking toward the crank pulley. This also applies to longitudinal mounted engines. Some non-inline style engines have specific pistons for the left and right banks. Be sure to know how to delineate which is left and which is right before installing. Markings you find on rings will usually be on the top and second rings. The types of markings on these rings vary by application, but the side the marking is on should always face up when installed on the piston. Here’s some examples of markings you may find on JE rings. 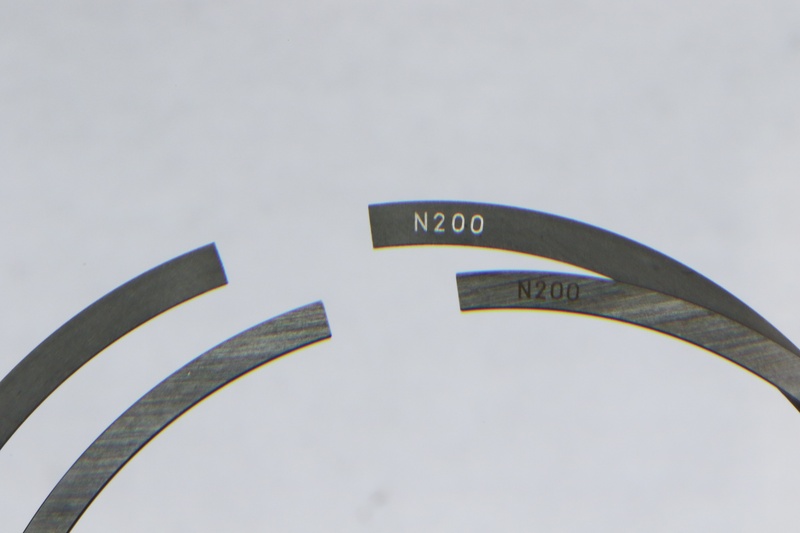 Piston ring markings are commonly laser markings, like the N100 you see here, or small dimples (pictured). Either way, these markings always face up when installed on the piston.